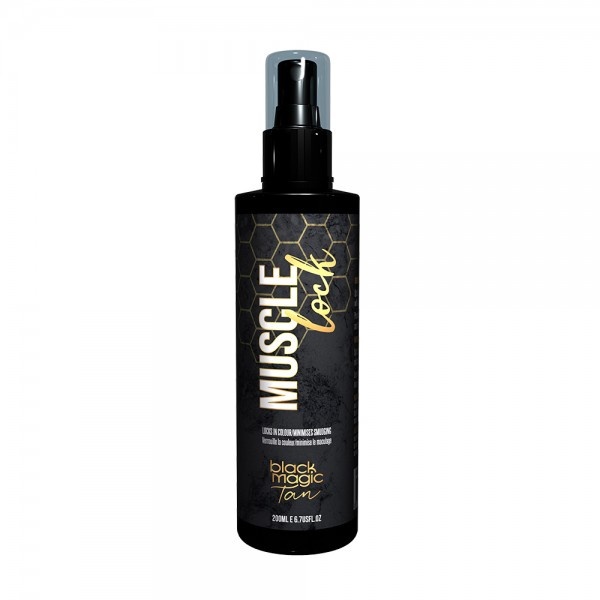 Muscle Lock is the ultimate finishing treatment. Lock In Colour, Hydrate & Moisturise. Spritz on with pump onto the dry tan and lightly pat dry with a tanning mitt. Product can also be sprayed on with a help spray gun and dried with air from machine.